Rack 'em up! 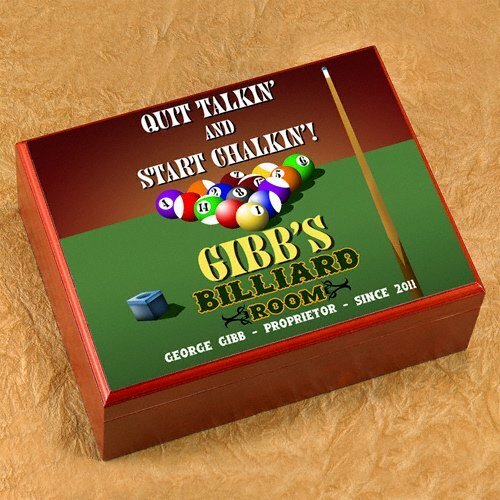 This cigar humidor with a billiards theme would be perfect in the billiards room or as an item to bring along to a pool league. 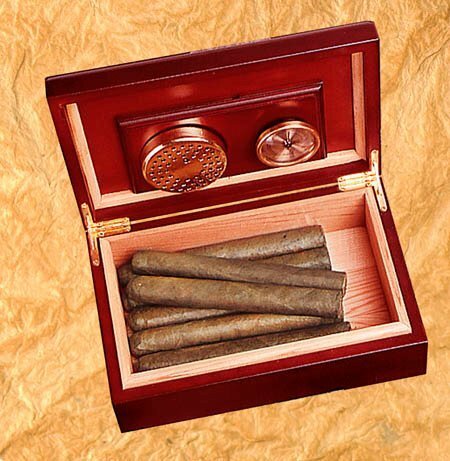 Make any cigar enthusiast feel special with a personalized humidor in which to store his prized collection. This quality cigar humidor features a full-color design and measures 9-1/2" by 3-5/8" by 7." It is personalized with the pool player's first name, last name and year established.